Last week, on the same day as the much-hyped total solar eclipse, Google announced the name and features of the newest version of Android. 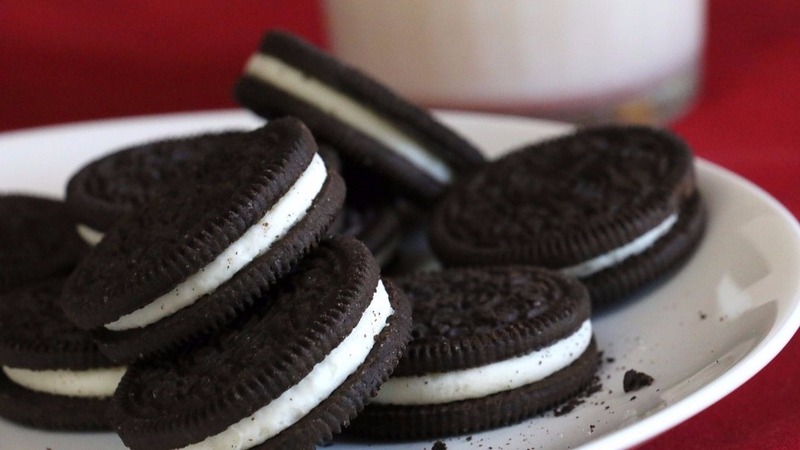 The new version of the OS will be called “Android Oreo,” after the popular sandwich cookie. Fortunately, “Oreo” was most people’s preferred name; I also favored Oreo as a name. Oreos are also a food item familiar even to American audiences, unlike the previous Android OS namesake Nougat. In the US, “nougat” is just a filler ingredient in candy bars, not its own stand-alone dessert like in other countries. Improved autofill, including filling in passwords. You know how YouTube can shrink a video down to a small corner of the screen, allowing you to look at other stuff in its app? Now you can do that for any Android app, as long as support’s built in by developers. Similar to iOS’ notification badges, you’ll be able to just look at the app’s icon and see if there’s a notification. There’s also a few other notification improvements, but this seems like the biggest change. Improvements to selecting and copying text. Google’s overhauling the looks of their emoji. Instead of the traditional Android blob-like shapes, they’re now using a more standardized smiley-face look. Of course, good luck to most people actually getting to try Oreo. Unless you’re buying or very recently bought a brand-new phone, it’ll probably be a very long time, if ever, before your device gets Oreo. For example, Motorola’s made clear they’re no longer upgrading my phone, a 2015 Moto G, despite my buying it when it was less than a year old. Here’s a graphic showing the current installation status of the different versions of Android. 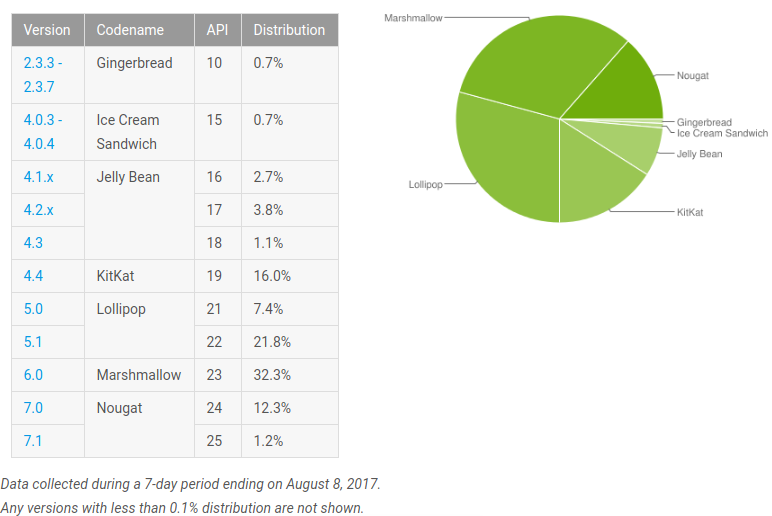 Marshmallow (released in 2015) has the biggest share of Android installations at 32.3%. This is followed by: Lollipop (released in 2014) at 29.2%; KitKat (the last Android OS named after a specific food brand; released in 2014) at 16%; and Nougat (released last year) at 13.5%. In comparison, the current version of Apple’s iOS, iOS 10 (released last year), now has 87% of iOS device share. This is followed by iOS 9 (released in 2015) at 10%, and everything earlier with the remaining 3%. Basically, nearly all Apple mobile device users are using an OS released within the last two years. Unfortunately, the same can only be said of 45.8% of Android users. For those who’re able to get a hold of Oreo, the improvements over Nougat will be appreciated. For myself, text selection and autofill are the most useful updates, though I’d still rather use a password manager. As for everyone else, you’ll probably have to buy a new Android phone, unless you’re one of the lucky few whose phone will receive an upgrade.